A reporter’s obsession with the takedown of a corrupt billionaire pulls him into the secret, macabre biotech world of a mad scientist and his diabolical benefactor. James Dysart is the improbable central protagonist of Gould’s debut sci-fi thriller. A gruff, middle-aged, twice-divorced alcoholic whose halcyon days at the Chicago Tribune are waning, James is still hunting for the investigative piece that will burnish his reputation and maybe bring down his nemesis, Richard Bassett. A corrupt Chicago real estate developer, Bassett has an assortment of politicians in his very deep pockets. Enter the beautiful, young, smart Sharon Hodges. She has been brought on as a summer intern at the Tribune, and James is ordered to mentor her. But Sharon has her own agenda. A decade earlier, her father, Stephan, was reported missing and declared dead after a boating accident on Lake Michigan. She is convinced the brilliant, cutting-edge stem-cell researcher faked his own death, and she wants James to help find him. The enticement of a potentially explosive story, plus an unexpected night of passion in Sharon’s apartment, ensnares James in a dangerous web of deception that puts his life at risk and plays havoc with his emotional defenses. The backbone of this complicated story is a sometimes too-technical scientific journey, beginning with Stephan’s early, unauthorized experiments to induce a state of hibernation in higher order mammals, potentially slowing the progression of disease—maybe even the aging process itself—and moving forward into a dark corner of present-day laboratory organ regeneration. The solid narrative is plot-driven. 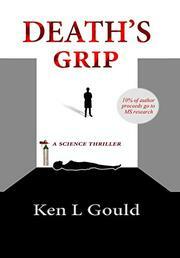 Although Gould fleshes out his main characters, he does this primarily by inserting long diversions detailing their back stories, sometimes breaking the high-octane pace of a gruesome page-turner loaded with twists. An underlying battle between good and evil is personified in Sharon, the second-generation genius plagued by internal demons that make her actions unpredictable, and Bassett, the behind-the-scenes puppet master. The flawed James is Sharon’s chance for love. Her instability provides the tension to keep readers hooked. A well-crafted sci-fi thriller despite its unlikely hero and dangling conclusion.